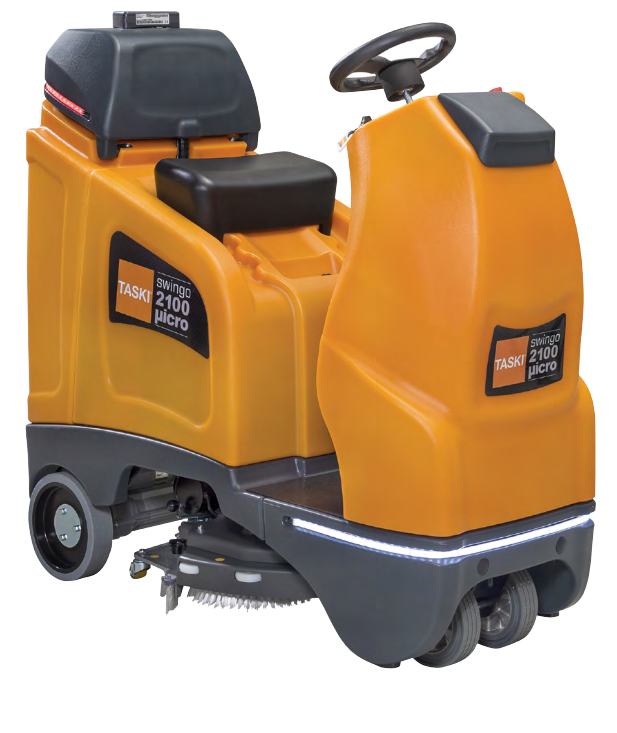 TASKI swingo 2100μicro micro ride on battery powered scrubber drier combines compact design with an unchallenged performance and high flexibility for operations beyond traditional boundaries. 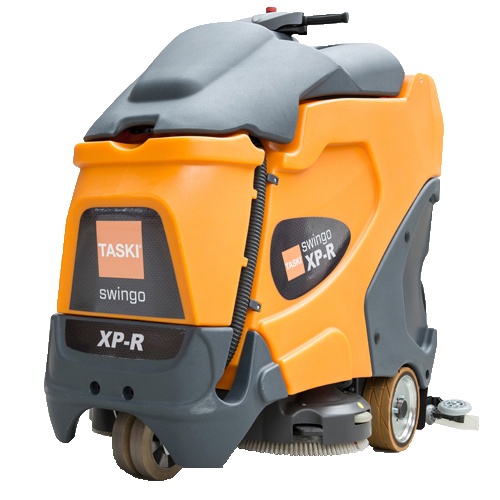 The new TASKI swingo 2100μicro offers unrivalled performance, benefiting from the combination of speed, small footprint, agility and large tank size. 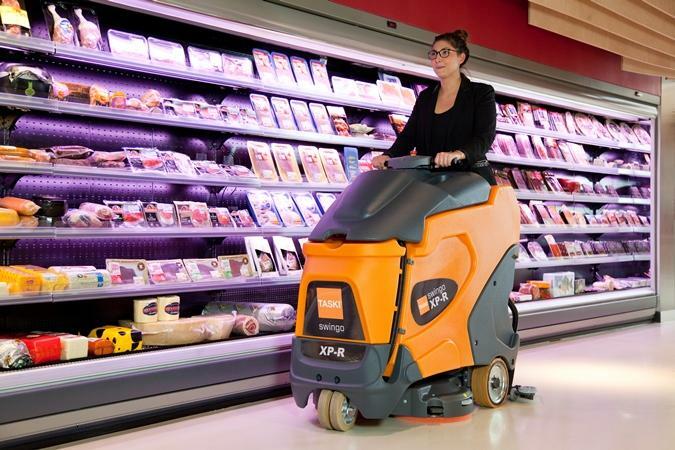 A totally new design of offset cleaning function allows reduction of manual work and seamless cleaning in large and small areas with the highest possible cleaning result and supporting a low total cost of ownership. The small footprint of the machine allows fitting into all common elevators enabling the opportunity to use the machine on all floors of a site. Taski Swingo XP-R stand on battery operated auto scrubber drier with round disc provides cleaning for customers requiring intensive heavy duty cleaning. It delivers the comfort of stand-on cleaning with unmatched visibility around the machine. 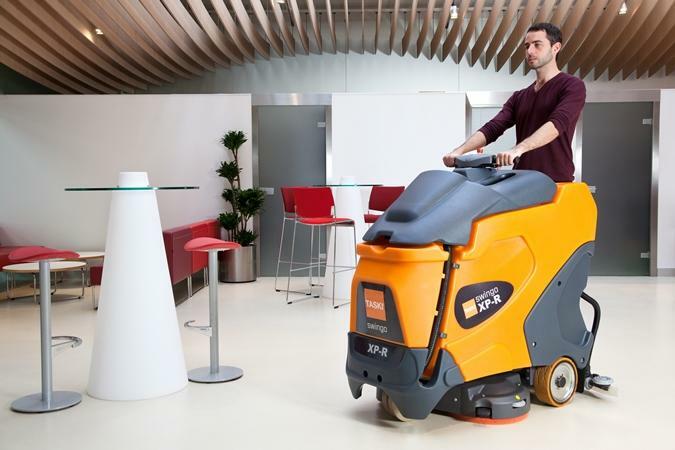 This battery operated scrubber drier performs with unsurpassed agility offering he manoeuvrability of a much smaller machine and unbeatable cleaning performance. 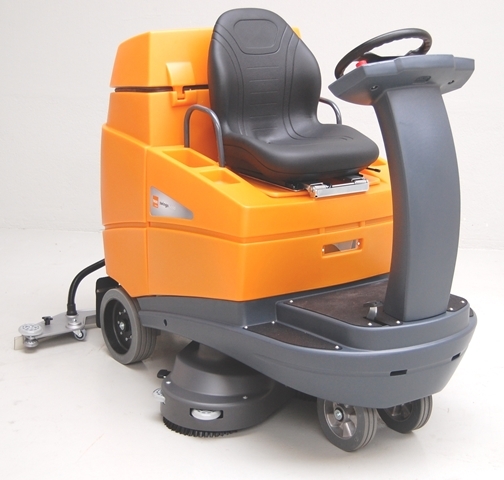 Taski Swingo 5000, a large ride-on battery driven scrubber driver with a patented Intelliflow system. 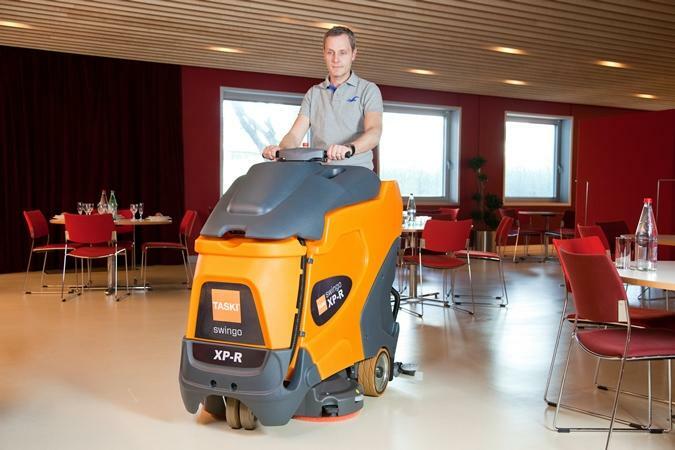 It ensures always the right amount of cleaning solution on the floor and leads to significant water savings. In combination with the large 200 L tank and a high cleaning speed of 7.5Km/h, these radically increase productivity and reduce the number of time-consuming tank filling stops.